Happy Monday everyone! I hope y’all had a great weekend! We were super busy, and poor B came down with a nasty cough. Yuck. I’m showing you something I put together over the weekend- it’s super simple and one of my favorite crafts. In our house we have a few gallery walls (B’s room, my office and our hallway) I really like adding in pictures that are in frames and on canvases- it’s fun to mix them up. 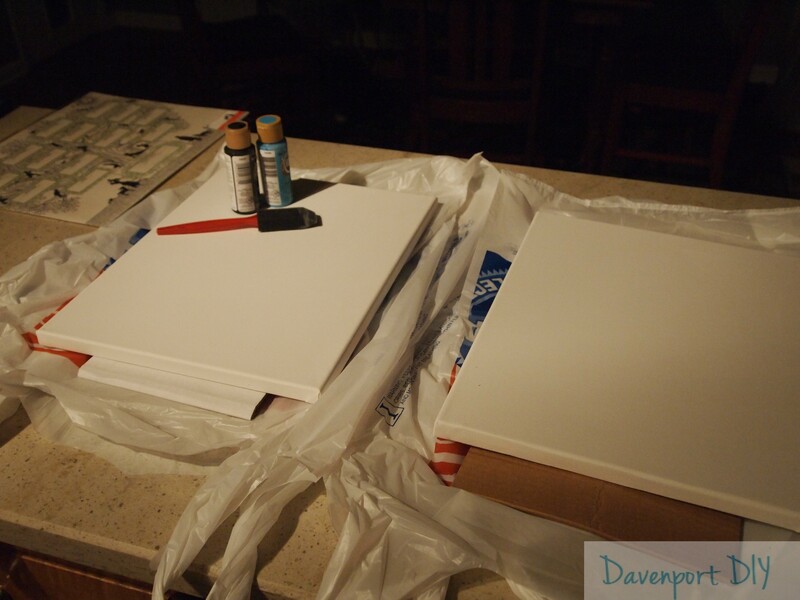 I’m loving photo printed canvases, but you know, they can be SO expensive! But I’m going to show you how you can create your own at home for less! First, gather your supplies. 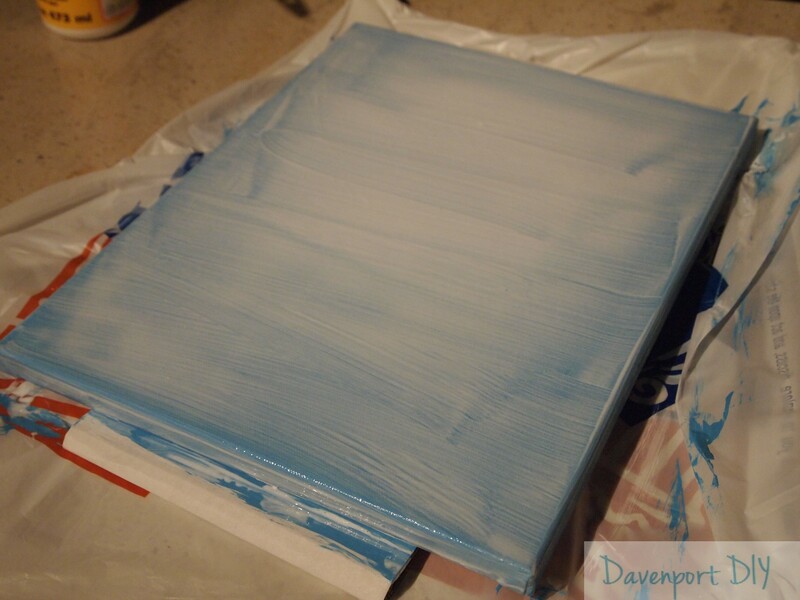 You’re going to need your photo (I’ve used 8×10’s and 11×14’s for this project), some craft paint in your color of choice, a foam brush, a canvas to fit your photo and some modge podge. You’ll notice I painted the blue one completely blue- you don’t have to do this (see the black one), but I wasn’t sure the piece of artwork I was putting on that canvas was as thick as a photo, and it is a light colored piece of paper, so I didn’t want any lines to show through. The black does not show through a photo- I’ve done several this way and they’ve all turned out great. Then put your photo (or art) down on top and let it dry so it attaches well. 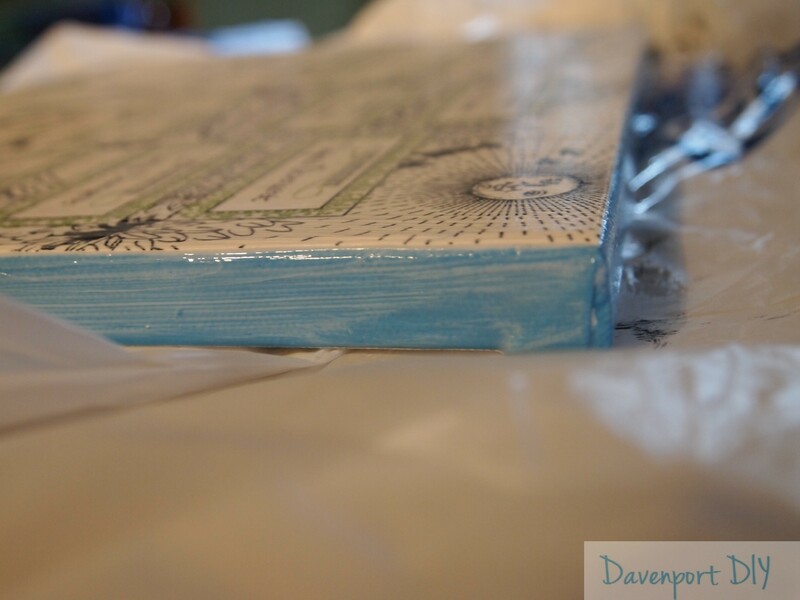 Once it’s attached, cover the photo (or art) in a two layers of modge podge (let each application dry in between). Then, admire your canvas and hang it up! 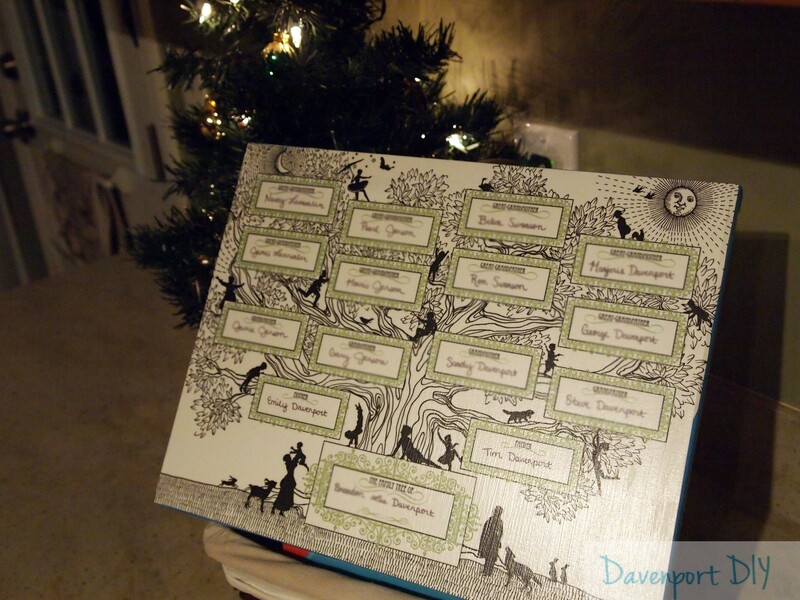 This particular canvas is a family tree that my sister got for B last Christmas. I’m ashamed to say it took me a year to get it completed (mostly because I was afraid I would mess it up by writing on it, but I put my penmanship skills to work and I have to say, it looks pretty good) As of today, it’s filled out and ready to hang on the wall!! Normally I paint the edges black for my photos, but I thought an aqua blue was a fun change, and it matches B’s nursery colors. I can’t wait to hang it on the wall in there. 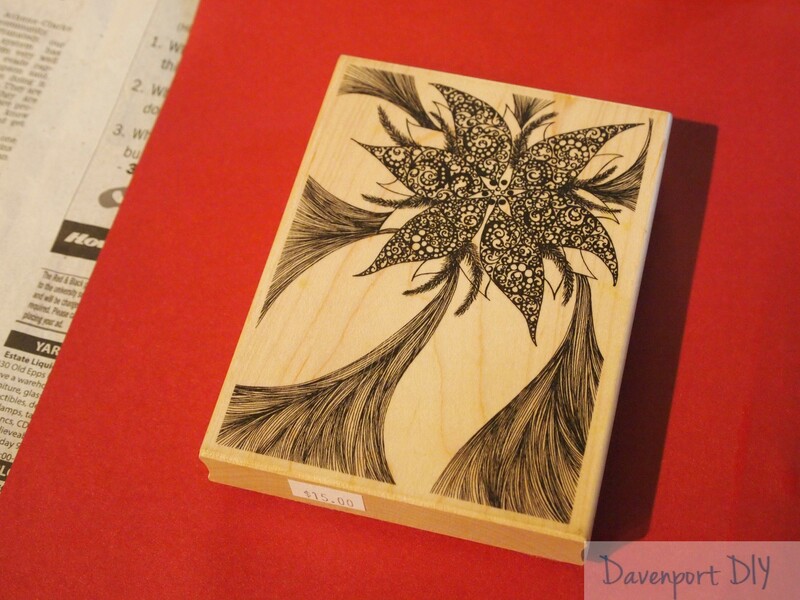 Did you craft something over the weekend? 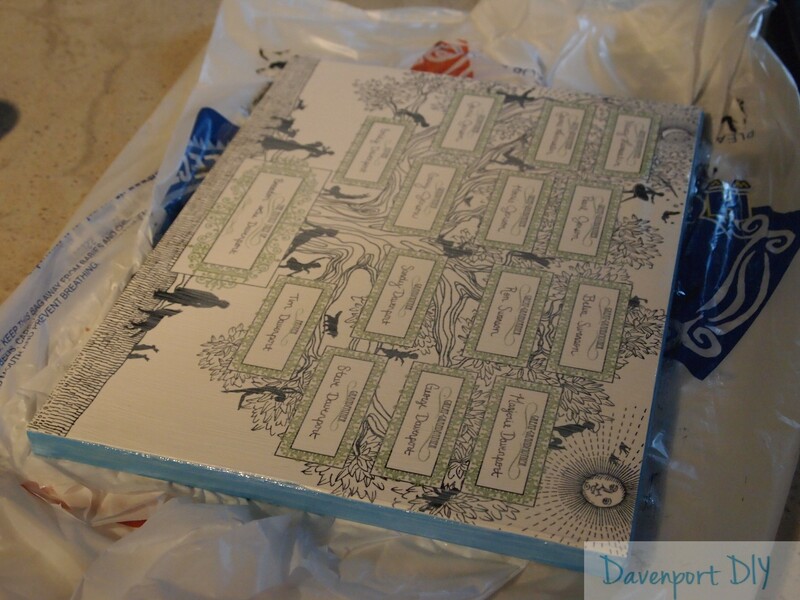 Linking up to the Inspire Me Please blog hop at House of Rose! Hey y’all!! I’m guest posting today over at Baby for Scale, and talking more in depth about my DIY Pottery Barn Noel sign- see you over there!! Linking up to the Inspire Me blog hop over at House of Rose! 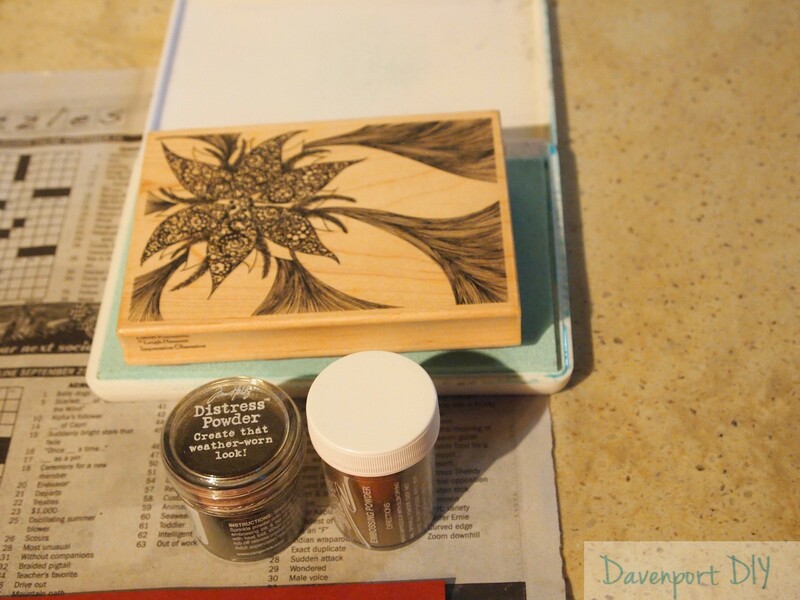 I used to be a pretty avid scrapbooker and stamper, so I dug into my stash for this project. 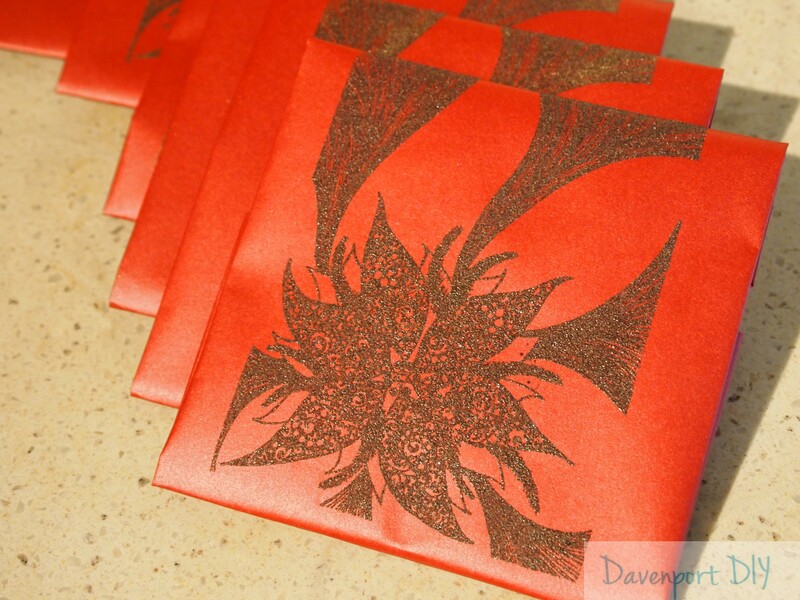 I used some really pretty burgundy paper with a gold sheen to it – unfortunately it photographed bright red, but let’s just pretend it is burgundy in these photos. I also used a big stamp that I’ve had forever that I haven’t gotten a chance to really use yet. 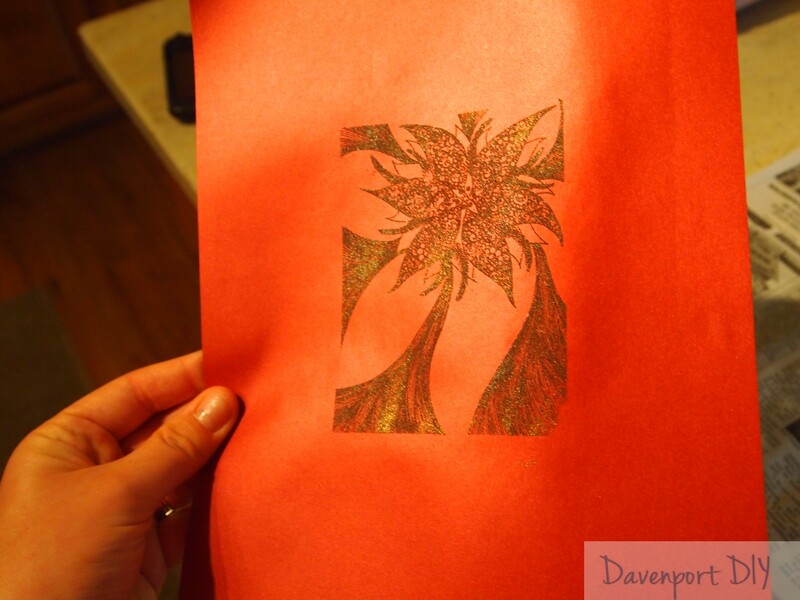 I used a brown and a gold embossing powder. 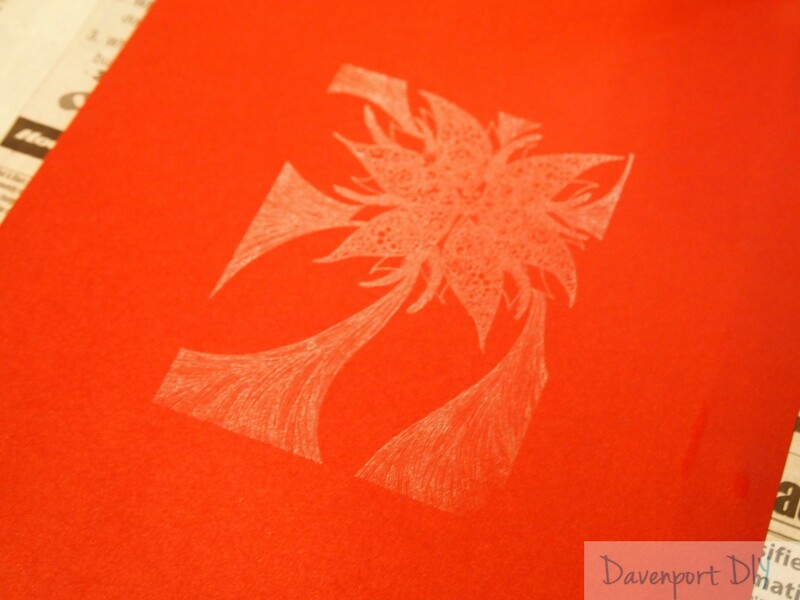 I’m a big fan of embossing– it’s easy to do and adds a lot of dimension to a stamped project. 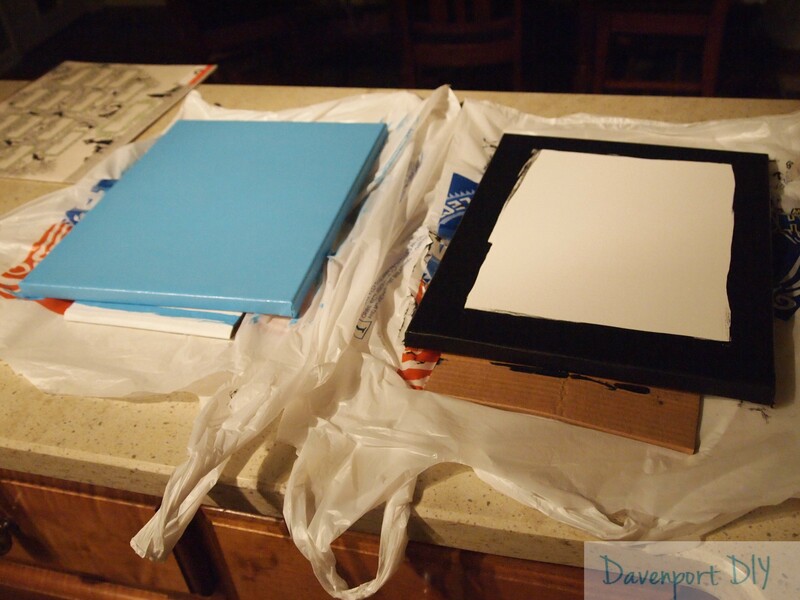 The above photos is probably the best representation of the paper color. And look, you can see how much I paid for the stamp! Ha. Isn’t it a pretty stamp? I was excited to find it in my stamp stash- I’d forgotten all about it! 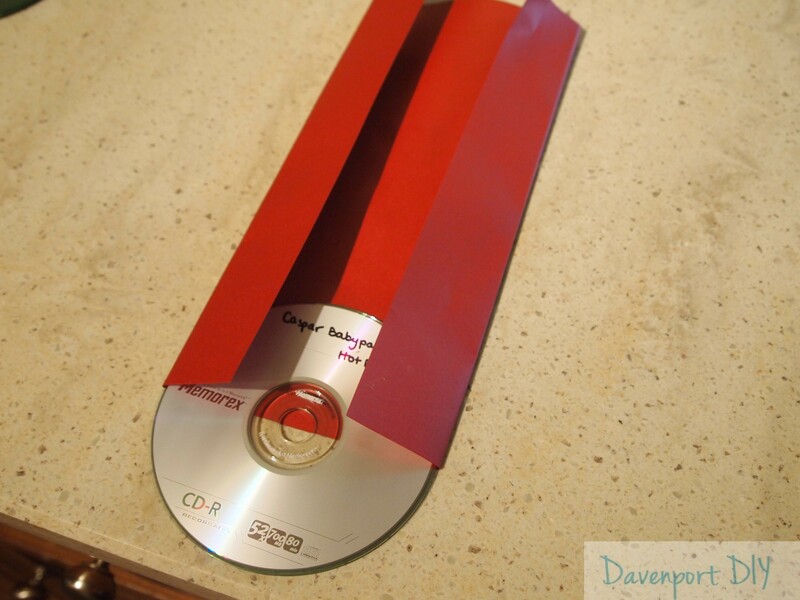 By the way- Caspar Babypants is a great cd (weird name, I know), if you’re looking for music that won’t drive you NUTS after it plays on repeat in your car. The singer is the lead singer from Presidents of the USA (…millions of peaches, peaches for me…) and the music is similar to that, so it’s fun. That’s it!! Super easy and cute! I enjoyed making these- I am definitely going to be making more in the future! What do you think? Have you crafted anything fun lately? 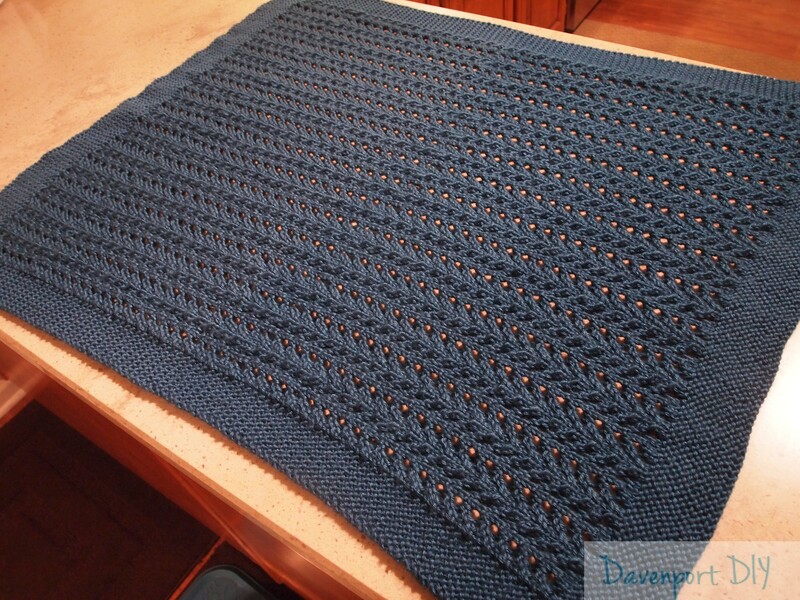 A good friend of mine recently asked me to knit her 2 year old son a blanket. 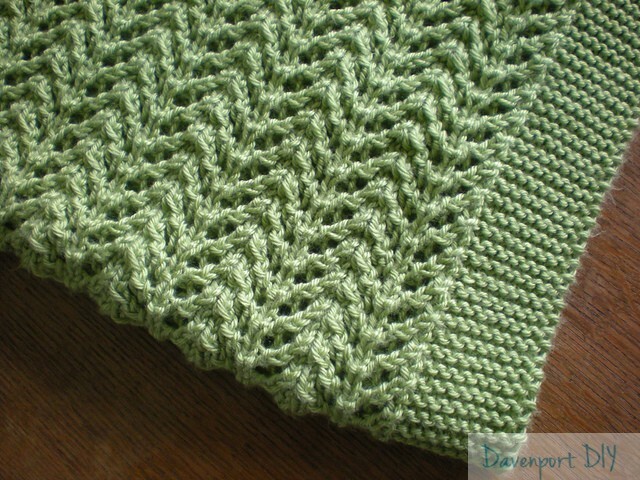 When she was pregnant with him, I made him a blanket using the Pine Forest baby blanket pattern by Ingrid Aartun Boe. I’ve made this blanket for several different babies now, and there is something about this pattern/yarn combination (Caron Simply Soft) that makes it every baby’s favorite blanket- it is super soft, squishy and warm. Not to mention machine washable, which makes it a favorite of all the moms! Anyway- my friend asked me to make her son another blanket, because he loves his so much that she can’t even get him to part with it to wash it. I was happy to oblige. I haven’t knit anything since making B’s chevron blanket and I’ve been itching to get back into knitting! I have realized that I’m much slower at knitting than I used to be. It took me a solid month of knitting to get this completed. The funny thing is, I read the pattern and saw “repeat the pattern 15 times” and thought to myself “this will be done in no time!” Until I looked again and realized it said 15 times ACROSS. 53 times total. Whoops. I picked up the pace after that. I hope her son loves it as much as his other one- and I’m actually planning on casting on for another project soon. I am so happy to get back to some crafting! What have you crafted recently? We cloth diaper around here, which means when we’re out and about, or B is at daycare, the dirty diapers have to go into something to keep the rest of his diaper bag clean. This is where the wet bag comes in- it’s a fabric bag with a waterproof lining. Theoretically we could just put them into a plastic bag, but that wouldn’t be nearly as fun! Hey- when you’re dealing with poop, you have to have a little fun, right? I purchased a couple of zippered wet bags before B was born. They’ve held up fabulously (we have this one by PlanetWise) with daily washings- I have zero complaints. However, one day I showed up at B’s daycare and discovered that another little boy, who had just started there, had the exact same wet bag!! Uh oh. We’ve already had a couple of incidents where we’ve ended up with a diaper that wasn’t ours, and having the same wet bags hanging next to each other would not help improve our odds of coming home with only our diapers. I had a new wet bag all picked out and waiting in my Amazon shopping cart- and then stumbled upon this pin on Pinterest. I haven’t sewn in almost a year- and decided a DIY zippered wet bag would be the best way to get back into the swing of sewing again. There are lots of pictures to walk you through it- which is great because I have never installed a zipper before! So off I went to pick out some fabric- I got a yard of a woven cotton, and then went in search of PUL fabric (polyurethane laminated fabric, what makes the bag waterproof on the inside). Unfortunately my local fabric store did not have PUL in stock- whop whop. I had to order it online. Thank goodness I was able to get a little cashback on that purchase! I really like this pattern- it was fairly easy to sew, even with the zipper installation, and I was able to customize the size for our needs. I liked our old wet bag, but it was a little on the small side. This one is 12″ wide and 20″ long and holds an entire days worth of diapers with a little room to spare. Not to mention it has a carry handle on the side which is great for hanging the bag up (our old bag didn’t have a handle and daycare had to put a little zip tie on the zipper). The bag has been in use now for almost a month, and has held up extremely well. We wash it daily and I have yet to see any wear on the bag/zipper/handle. And no leaks- so it’s serving its purpose well! As far as cost goes, this bag cost me less than $20 to make- $7 for the woven fabric and zipper (I only used about half of the woven fabric and I had a coupon) and $6 for the PUL (factoring in a coupon, shipping and cash back)- $13 total. Not bad- plus I like that I have an almost limitless choice in pattern for the outside!! What do you think? Have you done any fun sewing/crafty projects lately? Adorable right? I have several of those little bottlebrush trees (I never knew what they were called until I started seeing these snow globes) that are actually fairly old- they were my grandma’s and my mom grew up with them. I never really know what to do with them and usually put them on the dining room table. I didn’t even put them out this year, until I saw the snow globes and knew I could put them to good use. 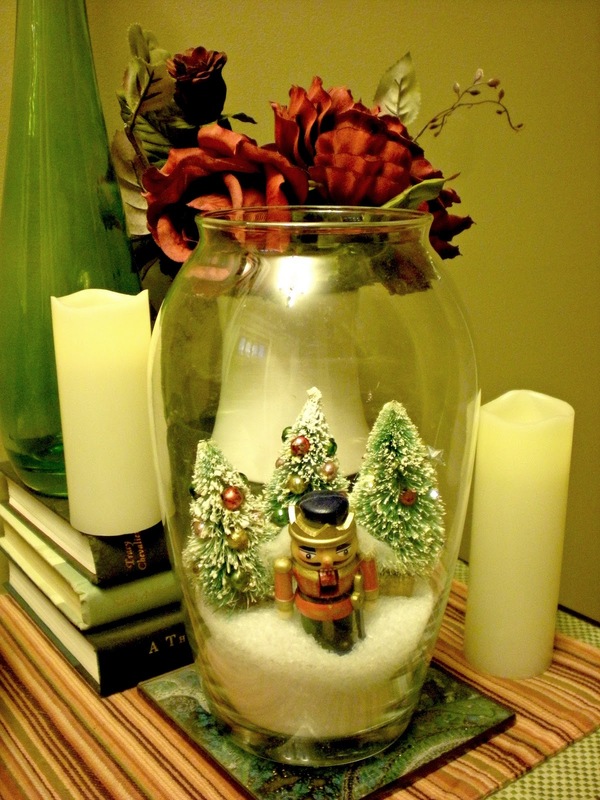 I didn’t want to spend any money, so I used what I had- a vase, epsom salts (work great as fake snow- who knew? 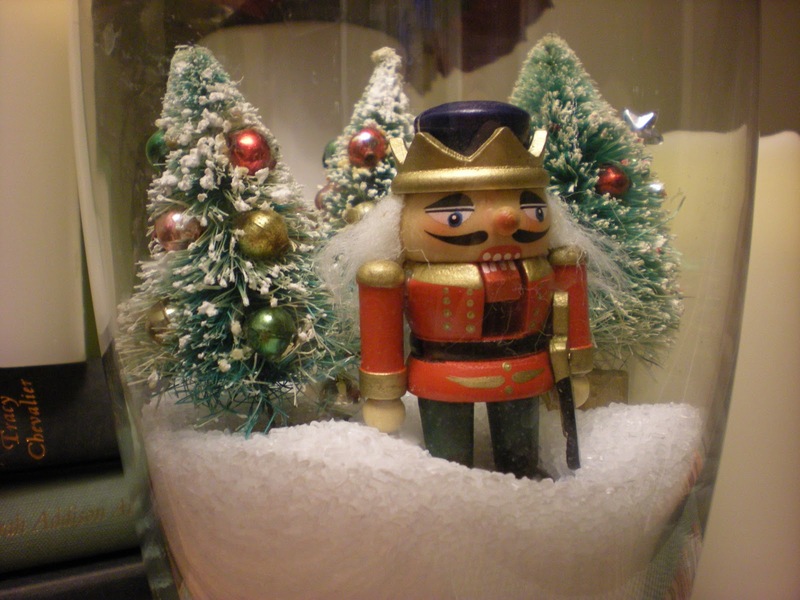 ), 3 bottlebrush trees and a nutcracker. I’m quite pleased with the end result! Yep- I’m pretty pleased with this free decoration. All in all it took maybe 5 minutes to gather the supplies and put it together. It’s sitting on our entrance way table. I love it! Stay tuned- we’re getting our tree this weekend so I’ll be back to share it once it’s all decorated!! 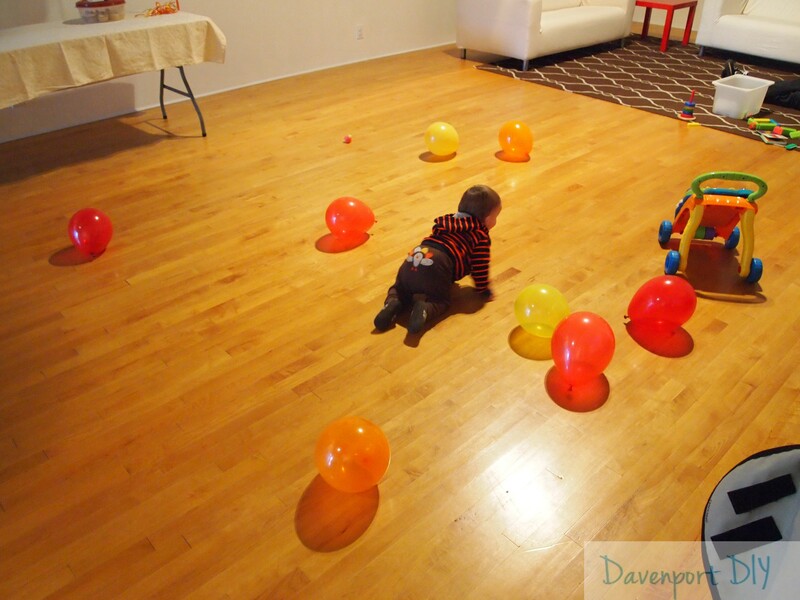 Linking this post up to the Inspire Me Please link party over at House of Rose. For those of you stopping by, I will have a new post coming out about how I made this sign very soon, so please stay tuned!! Ahhhh- my favorite decorating time of the year is here!! I typically don’t do a lot of seasonal decor, except for Christmas (and a little bit for fall). Christmas I go all out- we have 4 giant Rubbermaid tubs devoted to Christmas decor. This year we’ve been a little behind on the decorating because I was out of town and then sick. But this past weekend I got a good start! And I’m linking up a couple of crafts to Kim’s Dare to DIY party as well as Centsational Girl’s craft party- unfortunately these decorations were done last year, not this year. But I haven’t blogged about them before, so that counts, right? These trees were pretty simple- I bought styrofoam cones at Hobby Lobby** and then wrapped them with twine and yarn (hot gluing the ends down as I went). The white yarn at the top has sequins in it, which kind of makes it look like snow- right? Then I got cardboard stars and painted them with gold craft paint, hot glued a straight pin to the back and stuck them into the styrofoam. Easy! A secret- the trees are sitting on soup cans which makes them appear to be floating above the garland- there wasn’t enough room on the mantle otherwise! This wreath was another easy craft- I just wrapped a styrofoam wreath form with some red ribbon I already had on hand, hot glued some ornaments on and hung it with another ribbon from the mirror. Finally, the Pottery Barn inspired Noel sign. I saw this on Frugal with a Flourish’s blog last year (see link here) and had to re-create it. It’s cost at Pottery Barn? $149! My cost? Right around $20. I bought press-board letters at Hobby Lobby and stapled/hot glued them together (seriously, the back is a hot mess- you don’t want to see it). Then I painted them with a combination of gold, burgundy and brown craft paint. It’s propped up on a piece of wood so that it doesn’t disappear behind the garland- garland is great, it hides everything!! There you have it- my Christmas decor so far. What do you think? Stay tuned for a peak at our outside decor!! **Disclosure: I was not paid or compensated in any way by this company for this post. 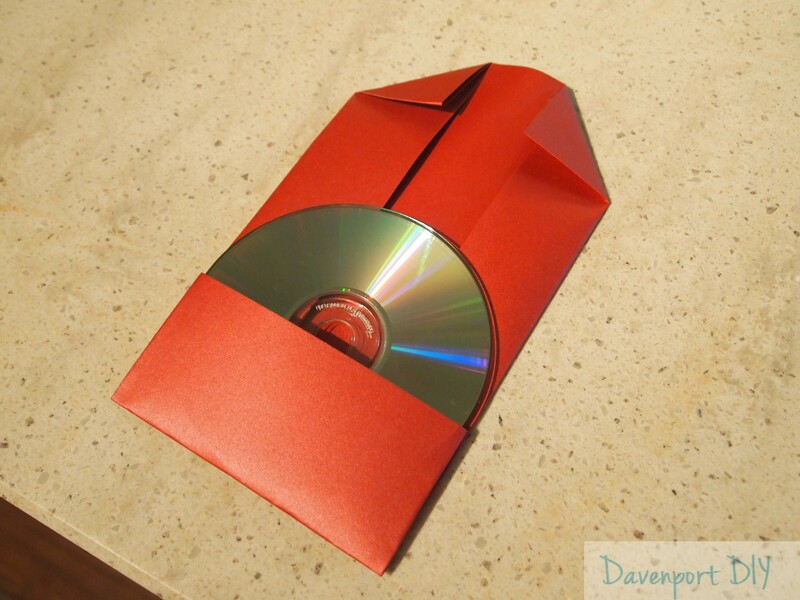 Dare to DIY- Homemade gifts! Happy Monday everyone! I’m participating in Kim’s Dare to DIY party again this week- this time it’s homemade gifts (my favorite!). 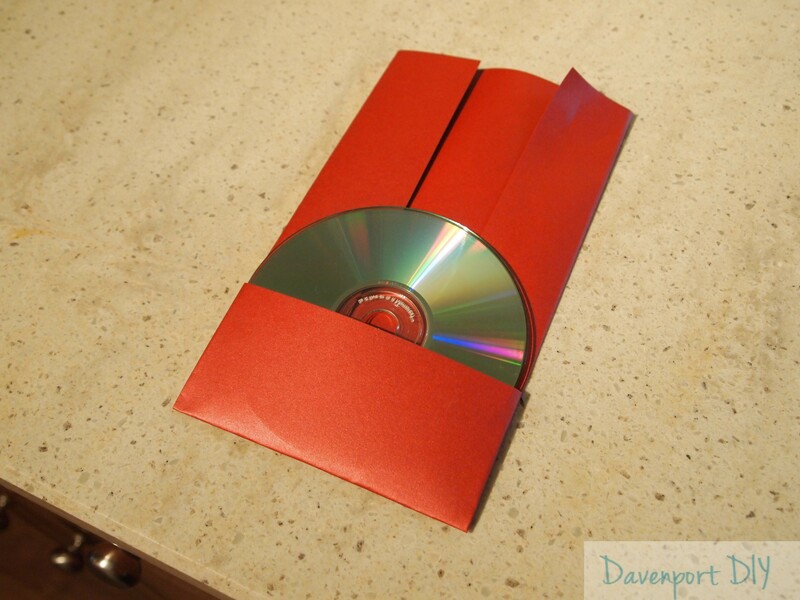 I’ve given homemade gifts for many Christmases, and some have turned out better than others. 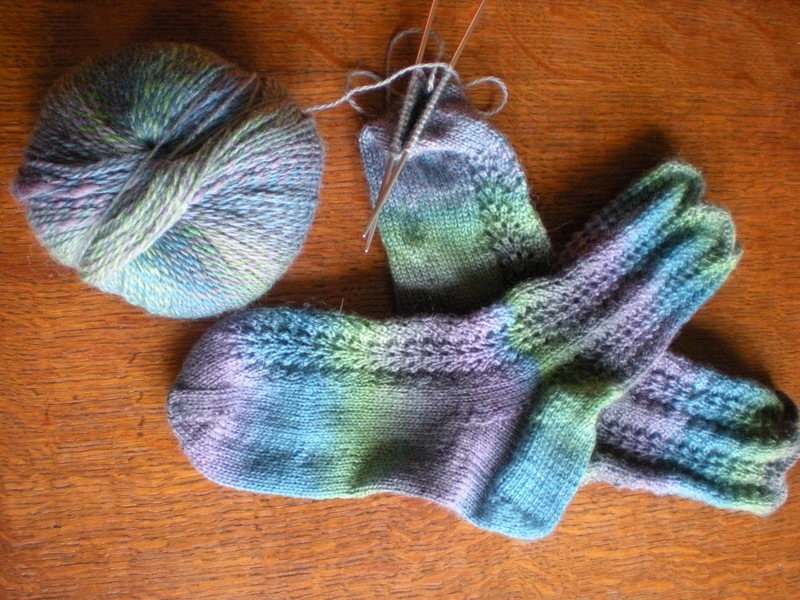 Once I learned how to knit, I started to get more requests for hand made items- specifically socks (there’s nothing like a pair of hand knit socks, seriously). One year I think I made 4-5 pairs of socks for Christmas, which is ambitious considering it usually takes me 2-3 weeks to complete a pair. I always start on the Christmas knitting late in the game too- if I were smart I’d start stockpiling knits a year ahead of time, but I usually start a month or so before the actual holiday which leaves me knitting up to the last minute and my hands start resembling claws! This year I got a little bit of a head start on my knitting, and I’ve actually finished ahead of schedule with this pair of socks for my mother-in-law (who requested a pair on her Christmas list). 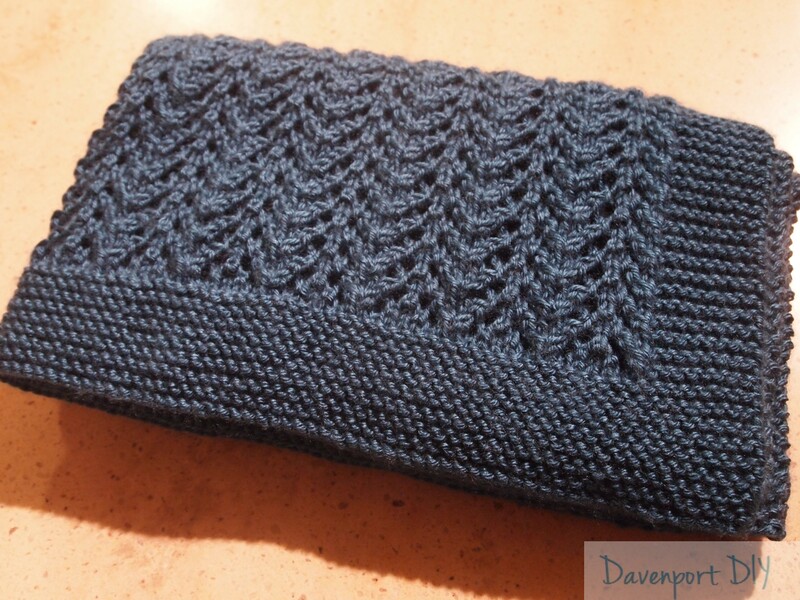 The pattern I used is available for free and called “Waving not Drowning“- it’s an easy to memorize pattern, a pretty simple sock, as well as a great introduction to lace knitting. Socks may look intimidating but they’re fairly simple once you get the basics down. I picked up some really pretty yarn in Bellingham (when we were visiting) that I think really compliments this pattern (the colorway reminds me of subtle peacock feathers for some reason). Want to see? 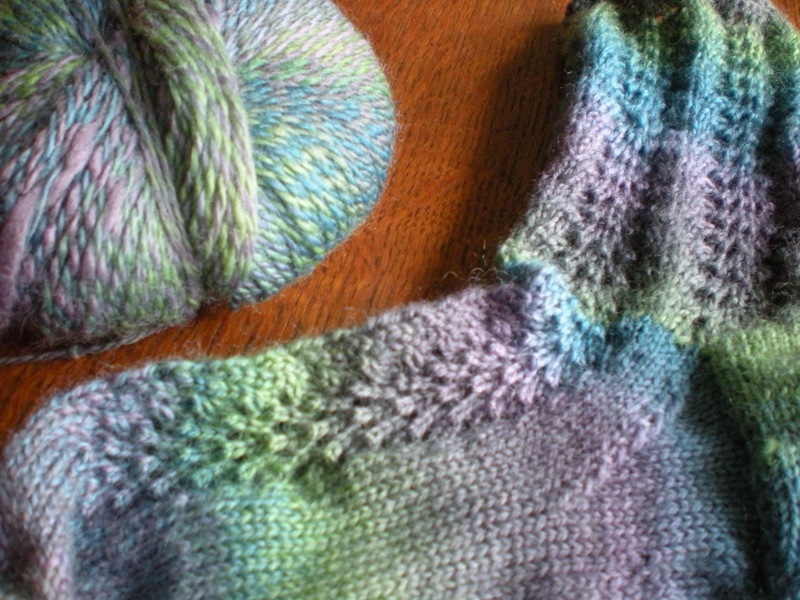 The yarn I used is Crystal Palace Yarns “Sausalito” yarn in Mediterranean, and it’s a blend of merino wool and nylon- it makes a nice mid-weight, squishy sock when knit on a pair of size 2 needles. These socks took just over one ball of yarn too- I think I have enough to make a second, smaller pair of socks (I thinking maybe for my sister, although I have another knitted item to make for her before Christmas). I hope my mother-in-law loves these socks as much as I do! Too bad her feet are smaller than mine, otherwise I might steal them for my very own! Happy Wednesday everyone! Are you all looking forward to Thanksgiving? I am!! We’re going the non-traditional route this year food wise, since we actually already celebrated one Thanksgiving with my parents (with a turkey). My husband is smoking ribs in his new Weber barbecue that he got as an early Christmas present. He did a test run over the weekend on some hamburgers and they were AH-mazing. I’ll let you know how the ribs turn out- and maybe post the recipe? Any interest? While we were visiting family in Bellingham, WA, I grabbed some pumpkin orange yarn at the local yarn shop to knit up a pumpkin version of the above hat. I was in a little bit of a hurry because my friend was leaving on her trip in a couple of weeks and my parents were in town- luckily the hat knit up fairly quickly- and I neglected to take any decent pictures of it before I shoved it lovingly packed it in a box and mailed it off. Lucky me- she sent me a picture of him in it the day she got it! I think he likes it!! I made it a bit roomy so it’ll fit him all winter long as his head grows. Hopefully it’s keeping him warm and cozy this Thanksgiving!! Have a wonderful Thanksgiving everyone- hopefully you’re enjoying some time with loved ones! Happy Friday everyone!! And welcome, new readers. Wow. I never thought anyone would actually care to read about what I have to say- I’m humbled!! Thanks for all your great comments on my Pinterest challenge projects (found here and here). Each week has a corresponding “Dare to…” challenge. Each Sunday evening, Kim will post a link on NewlyWoodwards. 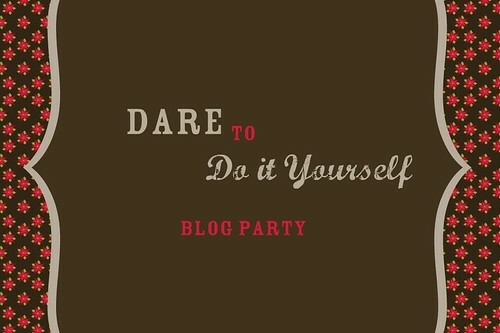 Post on her blog about your take on the challenge and link it up on your blog. Then, visit at least one other blog and comment!!! This is the important because we want to meet new blogger friends and get inspired. This is a PARTY. Tell us about your project, but make sure to praise others as well. On Tuesday, to help you plan, she will post inspiration for the next week’s theme. Also, search Flickr, Google and other blogs to find inspiration. And, if you have already done something that fits into a theme, link it up on that day. In other words, you don’t have to do something during the week if you have something that fits the theme. On Friday, she will post a few of my favorites from that week. 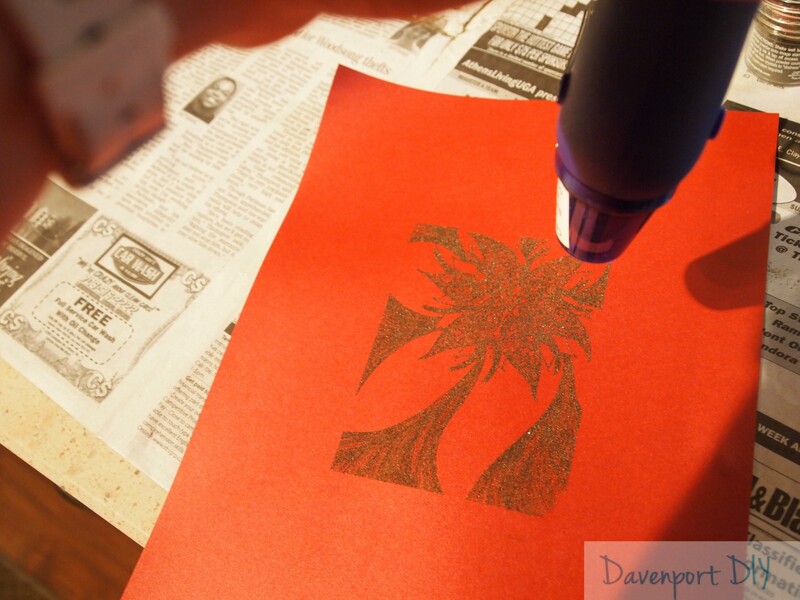 Take some time making your own DIY Thanksgiving project. It could be a fun Thanksgiving advent calendar, a banner or something completely unique. Post about what you made, how you made it and photos in its new home. Show us your table! If you are not hosting Thanksgiving, take this opportunity to make your table look great. Bring out your dishes and napkins and set your table. I promise you that it will make you smile every time you walk by. 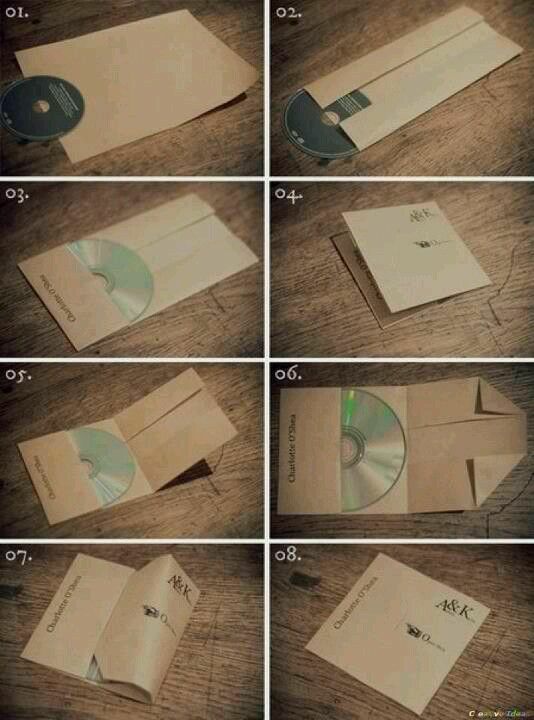 Get creative and use new things. Or go true DIY and make something totally new. As we begin to attend holiday parties, share your favorite cookie recipe for all to enjoy. It’s like a digital cookie swap. Share the recipe and a review of the cookie. If you can, add a picture. And don’t worry about the extra calories. At Christmas, cookies are calorie-free. 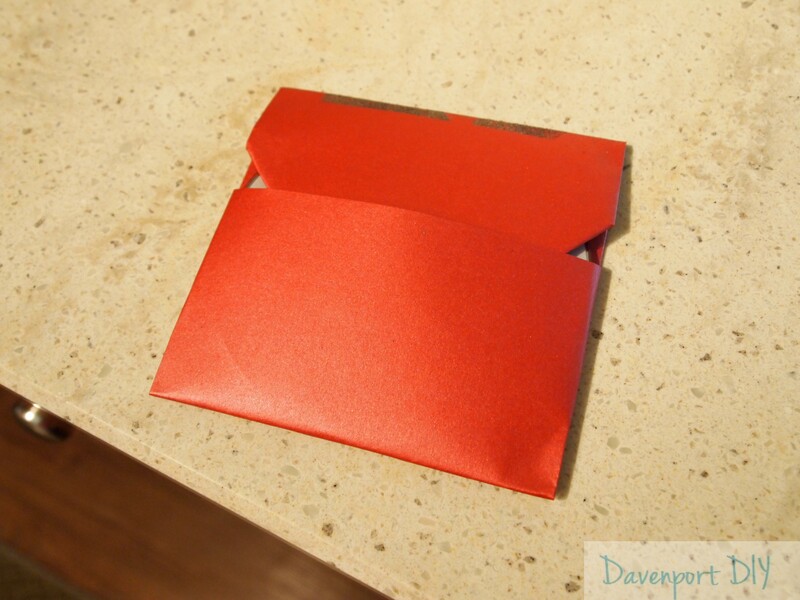 Dare to… give homemade gifts! Nothing is more special than a gift made by you. Try out something new to give this year – ideas include bath and body items, kitchen gifts, hand-sewn clothing or home decor. 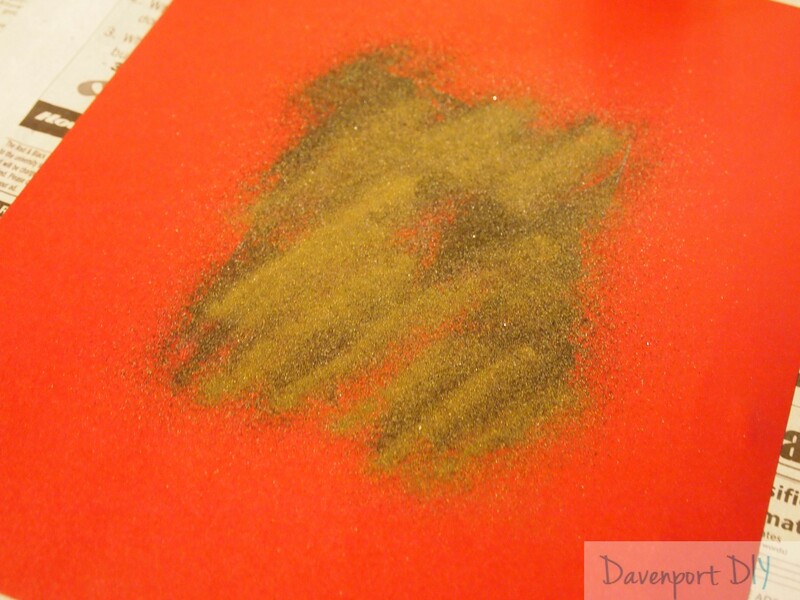 Dare to… deck the halls! Make something new to deck your halls. Did you find something in a catalog that you wish you had? Wreaths, stockings, pillows or advent calendars? Make it! Inspire us all to do the same. Everyone has traditions for the Holidays. Tell us all about your favorites or start a new tradition to share. I’m going to try my hardest to participate- I have family in town starting Monday the 7th, so the first week might be a challenge, but I’ll try!! And all y’all should too! !